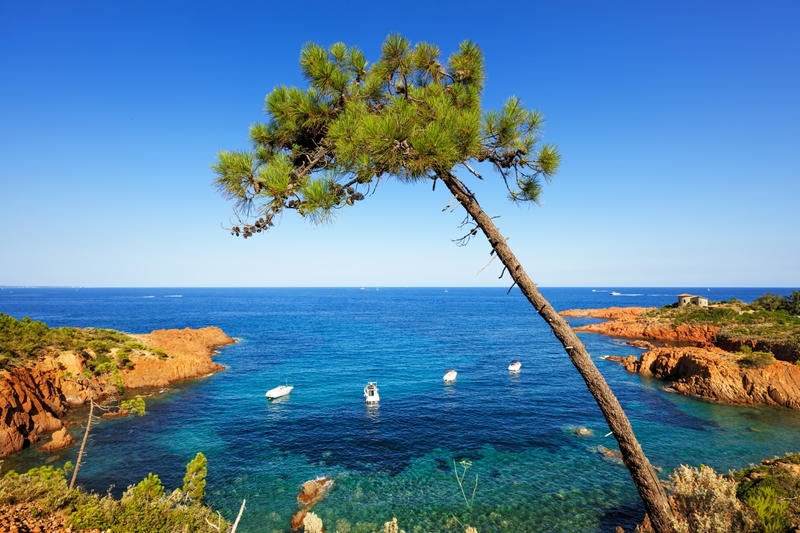 Within the Baie de Cannes, our combined cruise allows you to discover the unmissable Ile Saint-Marguerite and the Corniche d’Or in the same day. Departing from Mandelieu-la-Napoule, we offer a unique format for this trip which brings together a visit to Ile Sainte-Marguerite and the Esterel Massif. 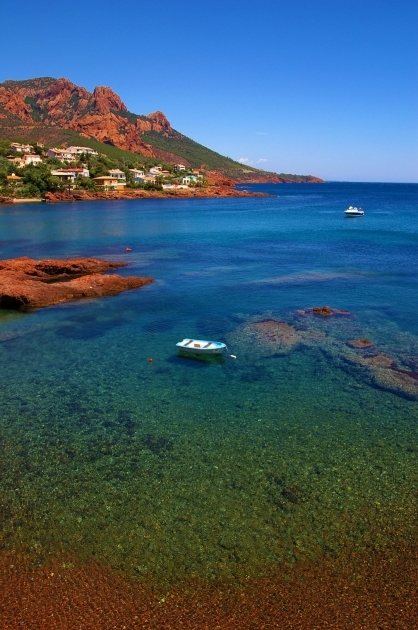 Within just a few minutes by boat, you will arrive at Ile Saint-Marguerite, a place of great natural beauty. By following the signposted trails, see the Aleppo pine and eucalyptus forest, discover remarkable flora and fauna, and pass through historical and unforgettable terrain. After this pleasant stop off, our cruise continues in the direction of the Esteral Massif and the Corniche d’Or with its natural geological features. Gaze at the red cliffs that rise up over the turquoise waters and admire the sumptuous views that unfold before your eyes! 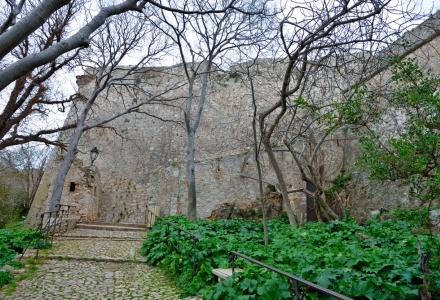 The Fort Royal is a military building built in the 17th Century under Spanish occupation which was later modified and fortified by the French army. In the 18th Century, reinforcement works ordered by Louis XIV were carried out by Vauban. During this time, the Fort Royal accommodated the former state prisons and the cell of the Iron Mask, where the mysterious prisoner was kept for eleven years. During your visit you will see wall paintings by Jean Le Gac. From cell to cell, this tour brings the memory of the inmates and the prison to life. The Musée de la Mer, built in 1977 within the Fort Royal itself, houses an important collection of underwater and land-based archaeological finds. Inside the Roman tanks and on the first floor of the building, various relics are displayed. 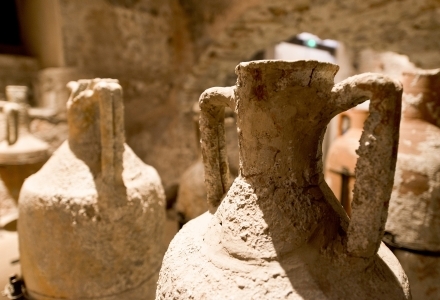 From archaeological finds to Roman and Saracen wrecks, they comprise fragments of mural paintings, ceramics, and amphora cargoes. 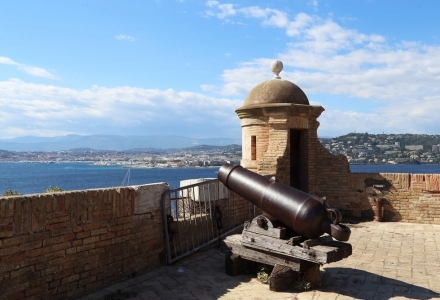 During your visit, don’t miss the temporary exhibition space with its superb terrace overlooking the Mediterranean, where you can enjoy uninterrupted views over the coastline, the Southern Alps and Esterel Massif. 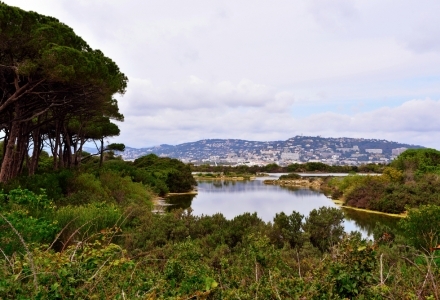 The Ile Marguerite is covered with a vast Aleppo pine and eucalyptus forest and is home to a large biodiversity of wildlife. Its rich heritage has resulted in its being listed as a Natura 2000 site as well as obtaining Biological Reserve status. During your trip to the island, take the signposted trails and enjoy a pleasant walk through the heart of this natural and protected site. From the Batéguier pond to the Pointe de la Convention, you will come across a multitude of plant species as well as migratory birds. 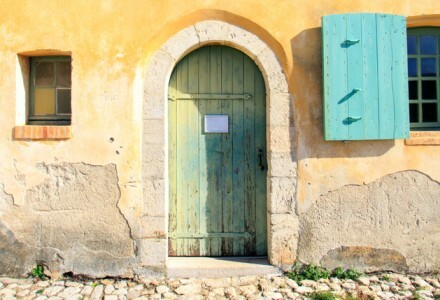 If travelling as part of a group, don’t miss the guided tours organised by Maison Forestière. Erected in the 17th Century under Spanish occupation, the Batterie de la Convention is located at the easternmost point of Ile Sainte-Marguerite. 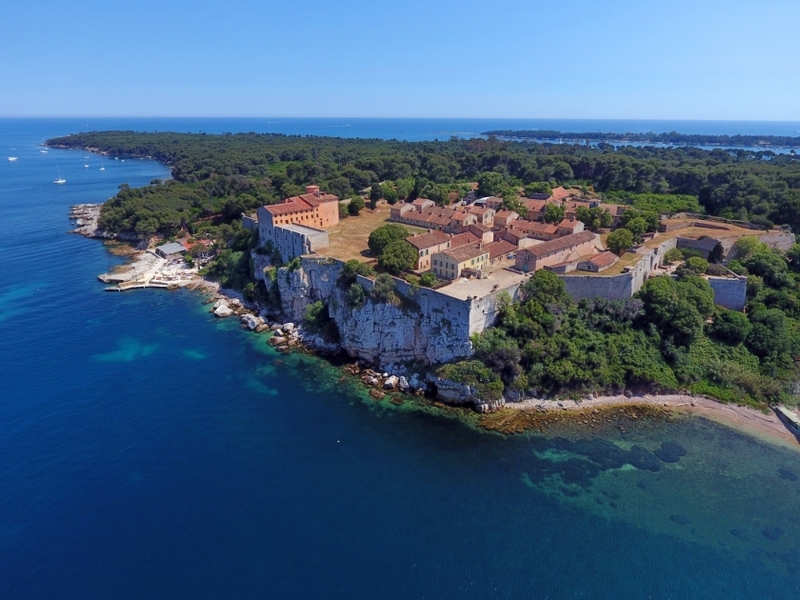 This military building, remodelled in the 18th Century under Napoleon, was originally equipped with 12 cannons. Its strategic position allowed its occupants to defend the area from the threat of foreign ships. In 1793, the cannonball ovens were constructed by the order of Napoleon. These ingenious constructions enabled the production of projectiles that outperformed traditional cannonballs. They are visible a little way away from the island, at the Pointe du Dragon and the Pointe du Vengeur. 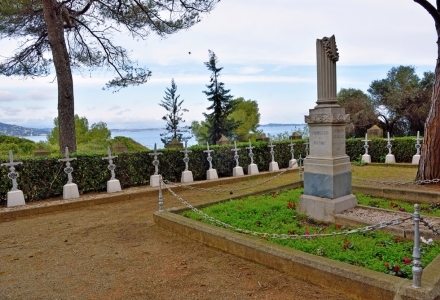 The Ile Sainte-Marguerite is home to several cemeteries, including a Muslim cemetery and a cemetery which pays homage to the soldiers of the Crimean War (1854-1856). Not far from the Fort Royal and the wharf, the Cimetière de Crimée is a place of memorial where a commemorative stele has been erected. During your visit to the fort, this peaceful haven overlooking the Mediterranean is well worth a look. The small cemetery houses the graves of some 30 soldiers killed during battle. During this time, the Fort Royal lodged wounded soldiers receiving treatment.